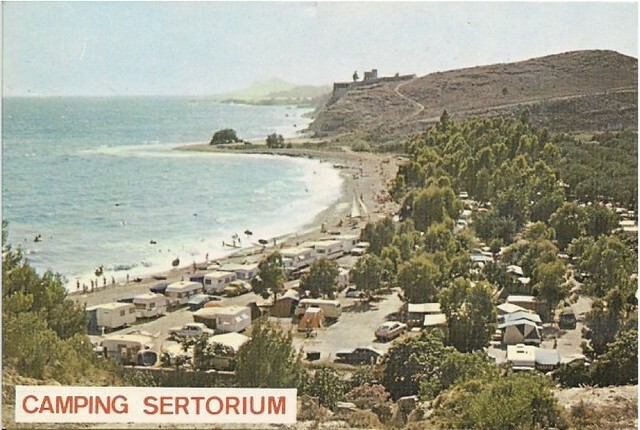 The Sertorium Camping was an RV campground near the shore in La Vila Joiosa, Spain. Established in 1971, more than 500 families from Holland, Germany, France, United Kingdom, and of course Spain, used to live or spend their holidays there every year. In 2000, the RV campground was designated to become part of a new housing development. But the land owners did not want to sell it; they wanted to maintain the property to remain open for camping. The law, however, allowed the developer to acquire the property. The camping site was closed and demolished in 2007. In the last 20 years, Spain has experienced an unprecedented urbanization process. More than 700,000 acres of rural and natural surface have disappeared under the asphalt, while the housing stock has increased more than 25%. After the housing bubble burst in 2008, many of the developments under construction at that time were left unfinished, sine die. As of now, the development planned on top of the old Sertorium Camping is halted. The developer went bankrupt, and there is no further news regarding when the work will begin again. 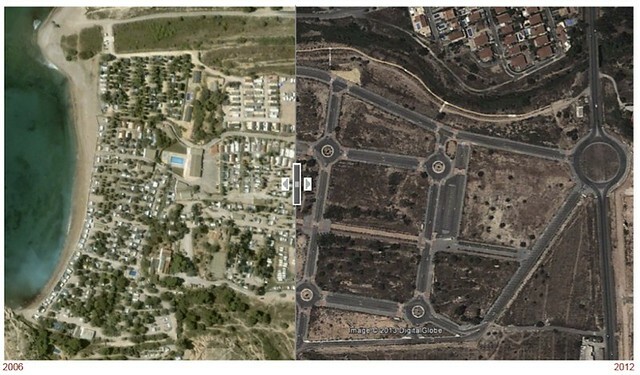 Click on the image below to see an interactive comparison of how the Sertorium Camping looked in 2006 and 2012. Post by Miguel Álvarez. Álvarez is Civil Engineer and collaborator in nacionrotonda.com, a website dedicated to raising awareness on the impact of the Spanish housing bubble through visulaizations. • Read the story of the most popular colonnade in Milan, yesterday’s contested space. Used to be a beautiful campground..